Remember that time Nintendo Paid $30 Million for Patent Infringement? You know what they say: you’re not really a company worth any money until someone is trying to sue you. Then again, it can be a stark reminder of how much more bigger companies stand to lose when they make a mistake or don’t look at the details. Maybe they should say that you’re not really a company until you’re too big to prevent mistakes that number way beyond what any one person could count. Is that what happened to Nintendo, though? No patent infringement case is simple–if they were, they probably wouldn’t end up in court. When it comes to intellectual property, the court is where we go to determine precedent. These are complicated issues with murky, sometimes impossible-to-follow laws, and so it’s up to the judicial system to figure out the difference between right and wrong. In June of 2011, Tomita Technologies International, Inc. filed a claim against Nintendo because it believed the giant had stolen a patent for part of its 3D technology: “Stereoscopic image picking up and display system based upon optical axes cross-point information”, to be exact. Is that an accurate technical description of advanced 3D technology, or was someone on drugs? You decide. The technology in question was novel because it didn’t require the use of 3D glasses to experience the effect–you know, the kind you find at 3D movies. Although the case description didn’t provide any background on how exactly Nintendo infringed upon Tomita’s creative tech, it doesn’t take a mad scientist to figure it out. Before Seijiro Tomita–a 30 year veteran of Sony until he parted ways with the company in 2002–applied for and was licensed with the patent in question, he showcased the technology in question to the good folks at Nintendo. Subsequent to this demonstration, Nintendo requested a sample. When Tomita asked for a licensing agreement, that was that. Communication was cut off for nearly a decade. The court sided with Tomita after both sides presented their arguments. Tomita believes Nintendo knowingly and willfully stole his patent, and Nintendo couldn’t do much to dissuade the judge that it hadn’t. Most damning of all was the fact that four Nintendo developers who were present at Tomita’s original tech demonstration were an integral part of Nintendo’s production of the 3DS handheld. That didn’t look so good. Tomita’s legal representation wasn’t asking for much, all things considered, if the patent was knowingly and willfully stolen. They wanted just $9.80 of each 3DS that has been sold, and the systems can cost the consumer hundreds. It’s important to keep an open mind, though. With all the technical details of each case, it can be hard to sort out the truth unless you’re experienced in the field. Even then, it can be rough. Nintendo says that such demonstrations of 3D tech were common when Tomita made his. Who can say if anything really was stolen? Do Car Companies File Patents? Most of us don’t keep too watchful an eye on the policies of various car companies around the globe, and so many of us might not know the answer to the question of whether or not automakers are in the patent filing business. The short answer is yes, of course they do! Just like any other company, they want their technology to be the very best in the industry, and so they need to protect their property. In the four year span from 2012 to 2016, the biggest automakers filed a combined 5,000 mobility patents. Most of these were focused on patents involving green or alternative fuel. Electric vehicles and the batteries that help power them are two technologies to watch carefully. Ford is one car company that isn’t waiting for the future to swallow its profits. The automaker has filed a patent for an autonomous police car that can autonomously issue tickets and even pursue offenders if necessary. Even though the typical car company will file a large number of patents, the emergence of new industry paradigms is evident. Google, Facebook, and Apple are all big players in the artificial intelligence industry, and that means the gargantuan companies are all filing patents of their own in order to protect the secrets behind their autonomous driving software’s integration with the hardware: cars. These companies have filed hundreds of patents in a relatively short period of time. In Germany, the opposite seems to be true. The country’s biggest car manufacturers are focused on autonomous driving patents and filing fewer patents for technology involving electric cars. That said, over half of the world’s autonomous driving tech patents come from Germany. These patents were mostly filed by car makers Bosch, Audi, and Continental. This divergence from the global norm might give Germany an edge when autonomous vehicles become mainstream, but no one really knows for sure. After all, the filing of a patent does not equate to the application of the new technology on which the patent is based. Sometimes, an idea just doesn’t work out! 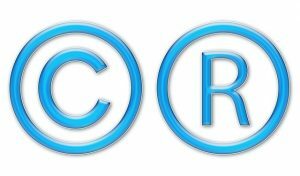 When deciding to copyright a particular brand or logo, you should probably be aware of copyright infringement laws–and do your best to avoid them. That’s not what happened when someone decided to put an ice cream brand on the market called “Baby Gaga”. Although copyright infringement lawsuits don’t always get filed, your chances of getting sued increase in proportion with how much the other party doesn’t want their own brand associated with yours. Baby Gaga ice cream is made using real breast milk, and that was apparently the last straw for Lady Gaga and her legal team, who filed a cease-and-desist letter to the U.K. based brand from “The Licktators”. Many copyright infringement cases are decided based on the likelihood that one brand will be confused with another. In this case, it’s easy to see how Baby Gaga might confuse people or somehow be associated with Lady Gaga. Whether or not it would irk people is a different story. Copyright infringement penalties can range from a measly $200 fine to a larger $150,000 fine and jail time. Legal realities and penalties regarding copyright infringement can become complicated, especially when international borders are crossed during a lawsuit. In this case, it would appear that Lady Gaga’s team decided not to take the matter any further than the cease-and-desist letter. Royalties are a tricky topic. The general rule of thumb is this: if you were involved in the production of a commercial, episode of TV, song, or book, then you’ll likely be paid royalties whenever those products are shared. Often, those royalties are for life. If that episode of TV airs, then you get paid. If a book you wrote is purchased, then you get paid. However, it’s more complicated for that. The band “The Turtles” recently lost a lawsuit against Sirius XM because Sirius had no licenses and paid no royalties. Sirius XM had played a song of the band’s that had been recorded before 1972. The Turtles proceeded to file a massive class action lawsuit in Florida, California, and New York on behalf of all artists whose songs recorded before 1972 had been played by Sirius XM. Sirius XM proceeded to pay a settlement of $25 million to the class. A lawyer can only do so much. That settlement is actually pretty low, considering the scope of the case. Federal Judge Darrin Gayles first settled the case in favor of The Turtles, but members of the band, Flo & Eddie, didn’t stop there. The case went before the U.S. Court of Appeals for the Eleventh Circuit, which then requested additional information so they could make a final ruling. A 1995 federal law stated that licenses must be obtained for songs recorded from the artists themselves for songs recorded after 1972. Flo & Eddie presented their case based on precedent set forth by a long forgotten 1943 case. Because the case was irrelevant in face of the 1995 law, the justices dismissed it as evidence and the previous ruling was reversed to instead favor Sirius XM. Even though this case will provide new precedent, copyright still expires after a time. For certain types of works, the rule of thumb is the life of an author plus seventy years when a work was published after 1977. This prevents lawsuits like the aforementioned. Trademark law doesn’t make the process as easy as you might want it to be. Let’s say you have an idea for something big, something important, something that could make all your wildest dreams come true. You have intellectual property, and you’d like to ensure it remains yours. How do you go about protecting it before you can show it off? Is it even possible? What steps can you take to dissuade others from trying to take what’s yours? These aren’t easy questions, but here are the basics of trademarking your idea, logo, or brand the right way. The marathon from concept to trademark application to trademark licensing can be excruciating, because believe it or not–people do have the same universal ideas. It doesn’t help that the ideas that get trademarked almost always rely on simple foundations. A common shape, a pair of common colors, or a three word phrase you may have heard a hundred times before without even realizing it. Even though you might fail to get it licensed on the first try, first you need a single concept. If you’re making a logo, make a basic sketch of what you’d like. What kind of symbol are you looking for? When you’ve answered that question, the next step is looking at the trademarks that already exist. Laws stipulate that you can’t copy someone else’s trademark. That much is obvious. But trademark court can also deny your idea if it can be easily confused with an already existing trademark. Don’t worry too much about that. Even if your first idea fails, you have wiggle room. Adjust a couple of things, and voila–you have a whole new trademark possibility. Because actually sifting through the database of existing trademarks is time-consuming and difficult, you’ll probably want a trademark attorney to help you through the process. It’s worth the financial strain at the end of the day, and you might need this kind of professional later anyway. Common shapes include circles, squares, or stars. Many trademarked logos use animals–or paw prints for example. When you choose an idea that will likely have already been done a thousand ways already, you need to make it visually dissimilar from all the others. A paw print might face in a different direction, have claws or not, or have a different number of pads, different shapes, and different colors. A lot of clawed paw prints use cats as the animal blueprint, but the University of New Mexico went a different route and used a wolf instead. Take your time and be creative. Apply for the trademark license as soon as you can. Just because your idea isn’t ready to go to market, that doesn’t mean you shouldn’t be ready with your branding. The longer you wait, the more likely it is that an idea that you had will be stolen. If that happens before you trademark the idea, then you’re out of luck. Once it’s been trademarked, the rules fall firmly in licensed individual’s favor. The Copyright Infringement Case of Bowman v. Monsanto Co.
Legality regarding copyright infringement can get a little complicated if you’re not familiar with the regulations, but then again most of us don’t need to concern ourselves with those details. The only people who do are those who rely on copyright or trademarking to protect their own products or brands from people who may purposely or accidentally use them. The case of Bowman v. Monsanto was complex, but not too complex that the ruling didn’t make sense. In the case, Monsanto alleged that Indiana farmer Vernon Hugh Bowman purchased soybean crop seeds which he planted and then replanted after the first harvest. According to Monsanto, the product was sold not as a seed but as a commodity. Bowman had no license to plant the product as a seed, which was under copyright. The Supreme Court ruled in favor of Monsanto, agreeing that Bowman had committed copyright infringement. 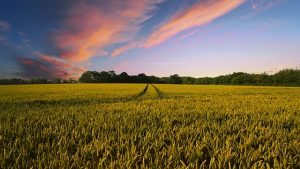 The ruling favored the owner of a patented seed by explaining that someone–such as a farmer–can use patented seeds without permission. This might seem obvious, but to farmers it isn’t. Say for example some patented seeds from a neighboring farm spread to your property and start growing. Are you liable for copyright infringement if you then use those seeds to farm on your own land? The ruling says that you are. Another more complicated situation can develop as well. You may have the patent owner’s permission to use or grow a specific seed, but if that seed or the resulting crop is then modified or engineered to create a new strain for harvest, are you still subject to copyright infringement laws for growing the newer crop? The ruling once again says that you are. This case was noteworthy for two other reasons: first, the ruling had the potential to force changes in regulatory policy regarding copyright and trademark infringement laws, and to the way farmers conducted business. Second, Justice Clarence Thomas was once a lawyer for Monsanto, raising concerns that his might be a biased opinion. It turned out not to make a difference, since Monsanto won in a unanimous ruling. At the end of the day, the ruling means this: you can’t take someone else’s copyrighted product, use it to make a somewhat newer product, and claim the newer version as your own. Licensing matters regardless of where you conduct business, whether it be an Indiana or Atlanta. Credit must be due to the original maker, and you’ll be subject to copyright infringement laws if you steal this credit–because the Supreme Court says so. If you want to know what direction a company is going, one of the items you can look at is what patents they have recently filed for or received. We all know Google as a tech-giant that revolutionized the internet. Since their conception, the company has been expanding at a rapid pace. They have spread their metaphoric tentacles into spaces you wouldn’t have imagined. One of their latest ideas to come to life was the Google home system. In the past, they have also invested in research and development in autonomous vehicles. Google’s latest investments have once again been in the auto industry. As we previously stated, we have heard of Google doing research on autonomous cars. Since then, Google has filed for a couple of different patents. Both patents are in regards to user safety in the auto industry. 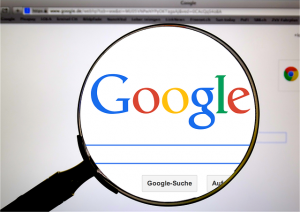 The first patent Google filed for was in 2016. Google developed a sticky concentration that is designed to be applied to the hood of a vehicle. The idea behind the material is that it will catch pedestrians if they are struck by a vehicle. This technology is necessary because sometimes things happen too quickly for a human, or even a computer, to process. A year later, Google filed for a second patent. The second patent is for a “crumbling” system that will be installed in vehicles. The rationale behind this patent is to reduce the rate of impact of the collision. In turn, this will reduce the force of impact for passengers of the vehicle. How will the car know to start crumbling? Google’s autonomous cars use top of the line data sensors to learn their surroundings. The sensors on the vehicle will determine when a crash is inevitable, the mass of the object or vehicle you are going to collide with, and initiate the “crumbling” system. This technology can be extremely useful in head on accidents. Why doesn’t Google just stick to what they know? Google, as any other tech company, wants to keep pushing technology forward. They have the budget to afford the best research and development, so why not try to better the world? It’s not at all unusual for successful businesses to try to trademark a symbol, catchphrase, or anything else in an attempt to protect their brands from would-be thieves. When celebrities do it, disaster results. The following are some of the most outrageous celebrity trademark stories you’ll hear about; almost enough to make you think that we need to tighten some of the regulations that govern trademark law. Take a breath, because you’re about to lose some brain cells. The New England Patriots have weathered their fair share of controversy in years past, and you can add ridiculous trademark attempts to the list. The team tried to trademark “Perfect Season” and “19-0” even though they lost. It isn’t the first time someone tried to do this. The Kraft Group tried to trademark “Road to Perfection” and the aforementioned phrases in 2008 after the Patriots were set for that year’s Super Bowl. They actually got “Road to Perfection” but since they never actually won either Super Bowl, they still haven’t sealed the deal on the other two phrases. Sadly, this type of Super Bowl trademarking isn’t even unusual. Snooki once tried–and failed–to trademark her nickname. She did this in an attempt to keep the branding for her book rights and TV personality, but unfortunately for her the trademark had already been granted in 2004 to a fictional cat by the same name. All right, not exactly the same name. The cat’s name was Snooky. Close enough, right? The Trademark Office thought so, stating that there could be confusion. Tough luck. As if you haven’t already heard enough about Donald Trump, the New York native tried and failed to trademark the Celebrity Apprentice catchphrase “You’re Fired!” way back in 2004. Apparently the Trademark Office believed that there could be confusion with another similar trademark from a game called “You’re Hired!” A pottery shop in Chicago also goes by the name “You’re Fired”, and the judge didn’t want to take away their business for the likes of Donald Trump. A good decision. Sarah Palin is another politician known for both her personality and decision-making skills. She tried to trademark her name, but forgot to sign the registration forms. She also tried to trademark her daughter Bristol’s name. Both were for the motivational speaking. Although the forms were denied because they lacked signatures, the judge who made the decision also noted that the Palins would have to prove that their names were used for commerce. It’s rather unfortunate that someone can trademark their own name, but that’s the world we live in. These are only a few of the celebrity trademark stories out there, but at this point you probably won’t be surprised that there are many, many more! There are two problems with originality when it comes to creative work. One, it is always met at first with the utmost scrutiny. And two, if it is successful, it often inspires less originality in its wake. Developing a purely original thought when it comes to writing a book these days is such a rare thing. Our thoughts and inspirations are obvious sources of other material, and so treading the line between taking inspiration from something and outright copying its concepts to paper can sometimes be quite difficult. In the cases where litigation follows, it may be just as difficult to come to a fair ruling that satisfies all parties due simply to the abstract angle that creativity can take. Sometimes, however, it is much easier to see when someone may be trying to ride the coattails of success. “The seven Potter books…have been published in 64 languages, sold more than 400 million copies and produced a film franchise that has pulled in $4.5 billion at the worldwide box office.” A quote pulled from an article on the German website, welt.de. 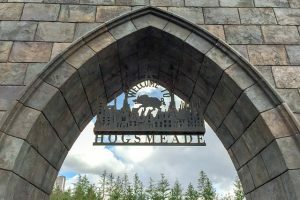 Suffice it to say, J.K. Rowling has done very well for herself since the publication of “Harry Potter and the Sorcerer’s Stone,” once long ago regarded as a children’s storybook, now part of the foundation of a franchise for a fan base around the globe. In this day and age, Rowling is part of the exclusive “one in a million” group of writers whose work is not only critically acclaimed, but known around the world and able to provide a steady and successful career for her as an author, very likely setting her for the rest of her life. And so it stands to reason that she may want to protect the investment of her time into such work. Vander Ark claimed that he was using the information to build a reference guide under fair use, which would allow him to replicate portions of the written work without requiring permission from the copyrighted work’s creator. However, more often than not, to determine fair use, a body of work written in this way would need to be successfully categorized into one of two fields: commentary and critique, or parody. While we don’t intend to explore critically the legal ramifications, it may be safe to say that Vander Ark – who is portrayed as a dedicated fan of Rowling’s work – was very likely not creating a parody with his Lexicon. Which leaves commentary and critique – which requires original commentary. Which is something that both Rowling and U.S. District Judge Robert Patterson apparently thought was lacking. This is not meant to discourage creativity. Yes, it is difficult to come up with an original, marketable idea to put to paper these days. But, again, there is a difference between taking inspiration from someone’s work and just taking their work. And while Vander Ark’s intentions may have been pure (though still marketable), it still seems more than obvious he was stepping on Rowling’s toes by attempting publication.